Endurance Films is pleased to offer downloadable MP4 versions of many of our titles good for use on your iPad/iPhone or any other portable video player. Upon purchase, you will receive an email with a link to download the file. 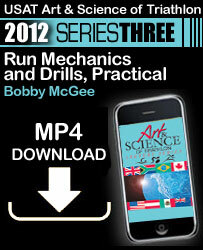 Learn run mechanics and drills for practical application from one of the world's foremost run coaches. McGee is a run specialist who does work for numerous triathlon federations, including the ITU. 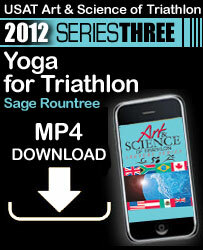 Internationally recognized yoga authority, Sage Rountree, presents an overview of yoga practices and the benefits to endurance training.